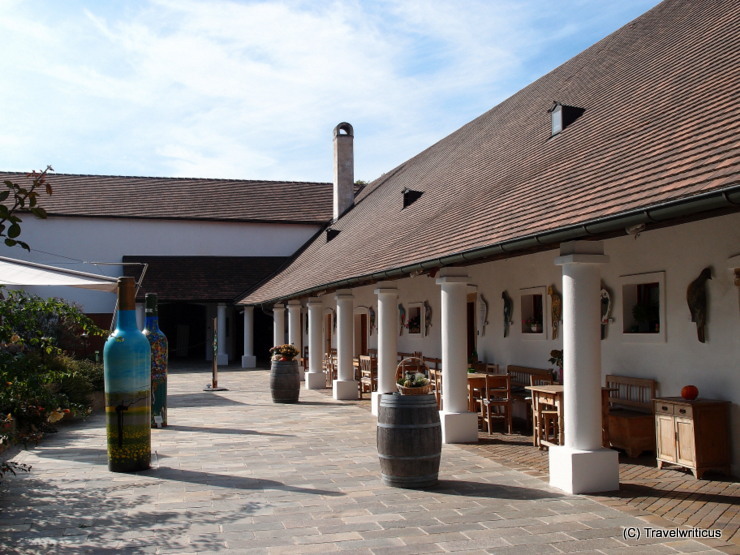 The wine estate Taubenschuss (Weingut Taubenschuss) offers not only wine tastings but also guided tours through a compilation of contemporary art. Most impressive detail: The gallery of doves, where each exhibited artist created something creative with a given shape of a dove. The gallery of doves is a clever art project displayed at the vineyard estate Taubenschuss (Weingut Taubenschuss) in Poysdorf. 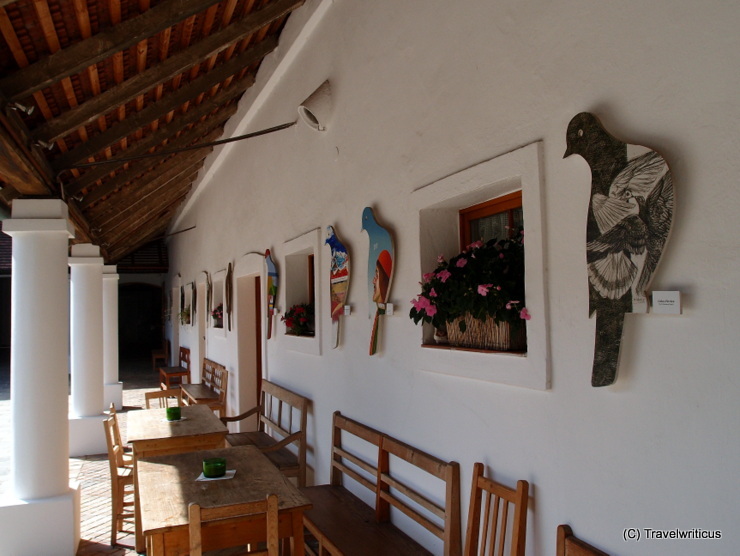 The owner of the estate asked a couple of artists to paint a given shape of a dove in the typical style of the artist. So you can learn a lot about many local artist by just looking at doves.